Thanks for the update, DRH . Okay, DRH, thanks for the news . I loaded the map in "omnibot" and encountered no problems, however, when I tried to host and load the map in "Silent Mod" the game crashed to desktop. The map will still run, DRH, I can still play it. I select a class and join the game and everything is fine. 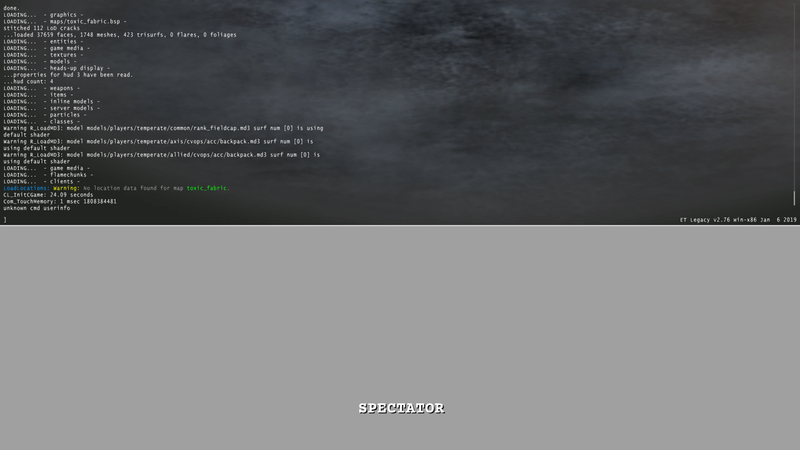 I only see that flashing in "spectator" mode in "ET: Legacy 2.76".